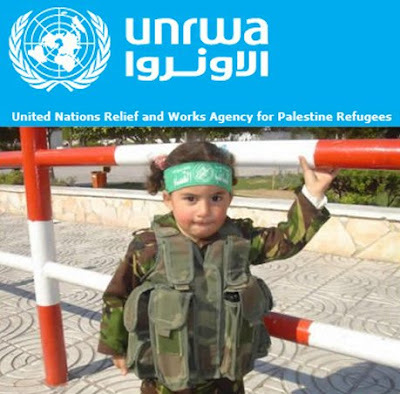 This Ongoing War: A Blog: 19-May-14: Will momentary focus on UNRWA throw any light on PA and Hamas abuse of their own people? How a person feels about the vast and sprawling UNRWA organization - the United Nations Relief and Works Agency for Palestine Refugees in the Near East - is a kind of proxy for how open he or she is towards understanding what actually happens in this part of the world as distinct from what people wish were happening. If you think UNRWA is just great, deserves all the support we can give it, one of the mankind's major humanitarian achievements, then you may be part of a hugely uninformed majority. A blog with the modest title "Call to Humanity" (just as one small example among many) reflects that standpoint, calling UNRWA "the oldest, most-established and perhaps the most successful international humanitarian operation in the world". It's nothing of the sort as, for instance, the Red Cross (established in 1863) might point out. As for successful, there's room for thinking very differently. When UNRWA got started on December 8, 1949, it defined a Palestinian refugee as someone whose "normal place of residence" had been Palestine during the 23 month period ending in May 1948. Yes, that's 23 months, not years. In 1965, the class was widened dramatically by an UNRWA decision to extend coverage to third-generation refugees i.e. 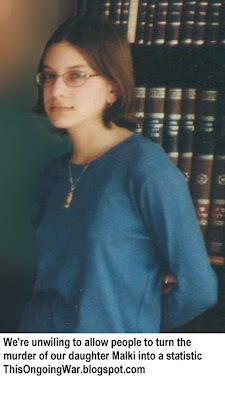 the children of parents who were themselves born after 14 May 1948, the day Israel came into formal existence and was massively attacked by all the Arab states. This must have gone over well in certain quarters because in 1982, eligibility was extended to all subsequent generations of descendents, without any limitation. This chain of events is described in a recent monograph, "UNRWA: Blurring the Lines between Humanitarianism and Politics", authored for the Jerusalem Center for Public Affairs by Dr. Rephael Ben-Ari. What's more, those “refugees” remain refugees even after they become citizens of other countries. UNRWA has evolved into one of the largest programs of the United Nations. Its 30,000 employees are part of a structure that delivers services to its beneficiaries in ways that, elsewhere, would be considered government-like. But in the Middle East, government-like can be a fairly loose and unhelpful definer. For instance, though polio has erupted in the region, the government operated by the Hamas regime in Gaza is said to be refraining from spending any of its hard-earned military-equipment budget on anti-polio vaccine. has helped tens of millions of people restart their lives. Today, a staff of some 8,600 people in more than 125 countries continues to help some 33.9 million persons [UNHCR website]. Yet people like the blogger we just mentioned keep putting UNRWA at the top of the heap. 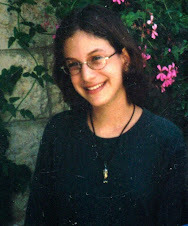 education programs that foment hate against Israel and employees who aid terrorists... But so long as the Palestinians believe they have the support of the world in their effort to undo the verdict of the war they launched in 1948, the millions who call themselves refugees will never give up their goal of eradicating Israel’s existence. Though he mentions "the support of the world", that's not entirely true. Knowing who does support UNRWA and pays its bills, and who does not, has never been hard to figure out. Top of the list of course would be those phenomenally wealthy oil-drenched Arab fiefdoms for whom the Palestinian Arab struggle is their very reason for living and who routinely "renew" their "commitment" to, and "solidarity with", the cause, right? 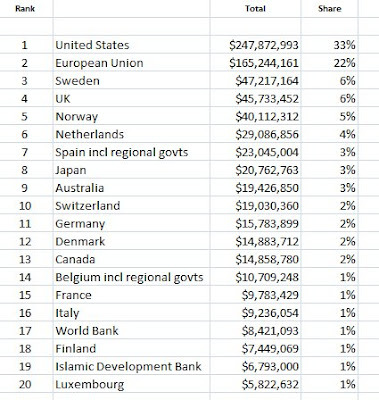 As we noted in a January 2013 post, "Only one non-Western entity, the Islamic Development Bank, is in UNRWA's top twenty funders list - and that one comes in at nineteenth place with a contribution 3% the size of the hated Americans' and 3.5% of what Australia (Australia!) contributes." The numbers in the table we prepared below come from the UN's official record covering all donations for the year 2010 and ranked by size of overall contribution. Ben Ari refers to a modest degree of push-back, with Canada ending its UNRWA funding in 2010, and the Dutch declaring their intention to “thoroughly review” their UNRWA policies in December 2011. He writes how, in recent years, a growing awareness has emerged about UNRWA's active political involvement, its lack of accountability, and what he calls "the unfettered freedom of speech enjoyed by its executive officers, defying the fundamental norms of objectivity and neutrality that oblige UN officials as international civil servants". is to get rid of the underlying causes: the Israeli occupation of Palestinian territory and the closure of Gaza which is stifling the economy, increasing poverty and unemployment, and forcing even greater dependency on aid provided by the international community. The need for emergency interventions would diminish dramatically if Gaza was opened up for normal business and trade. Consistent with everything we know about UNRWA and its management team, she sees no need to touch on the perpetual state of war against Israelis imposed by the jihad-minded Hamas rulers of Gaza on their principal victims, the Gazan Arabs. Nor on Hamas criticism of UNRWA schools for its inadequate focus on terror [source] as an educational goal. Think about that. UNRWA regards itself as addressing the basic food needs of thousands of Palestinian Arab families. We read those words and we're thinking: an underfunding problem that causes people to starve? In a country (the one declared recently by Mahmoud Abbas and his Palestinian Authority) that has sufficient budget capacity to award fat pensions, bogus senior jobs in the PA security forces, and salaries that are multiples of the national average to men freed by political extortion from life terms in prison for murdering Jews, and officially celebrated by the PA elite for that reason? This Margot Ellis cannot bring herself to mention? Because one has nothing to do with the other? Ms Ellis obviously knows at least as much as we do about the hypocrisy and double-talk that is at heart of the two Palestinian governments and their policies. She chooses not to refer to it because attributing the problems to Israel works far better. It delivers the goods. The puzzle for us is how the blame-Israel-first-and-last strategy elicits a supportive response year after year from the likes of Australia, Switzerland, the EU, the United Kingdom and the United States, and peanuts in cash terms from the mind-bogglingly wealthy regimes of Dubai, Saudi Arabia, Kuwait, and the Sultan of Brunei. Certainly, money can't solve every problem, but when the woman who owns the budget says there's a disaster happening in which people are starving because of "underfunding", then some extra attention to funding might be the responsible management thing to do. And tipping people off to the shabby role played by the PA would be a good start. Our sincere thanks to Małgorzata Koraszewska who has translated this post into Polish and published it ["Komu pomaga UNRWA?"] on the widely-read Listy z naszego sadu website. She had previously translated these articles of ours into Polish as well: 17-Feb-14: Money and the business of sustaining a culture of terror; 5-Apr-14: Home-made rockets? What damage can they possibly do? ; 17-Nov-11: A monster walks the streets and she has many accomplices. Thank you, Małgorzata!